Have you heard of bone conduction technology? AfterShokz uses this patented technology to produce headphones that transmit mini vibrations that travel through your cheekbones to your inner ears, avoiding your eardrums altogether. The advantages of bone construction headphones include the fact that you won’t damage your hearing or ear canal, and you are able stay aware of your environment at all times. Those who prefer to run or cycle on busy roads can maintain maximum situational awareness instead of becoming isolated from the sounds and activities going on around them, which can be incredibly dangerous. AfterShokz Bluez 2 headphones are sweatproof — perfect for strenuous workouts. Though bone conduction technology was first developed for military special operations and law enforcement, Aftershokz has designed and priced its updated Bluez 2 headphones for everyday use. At first glance, it might seem absurd that music can even be conducted through your bones instead of directly in your ear canal. 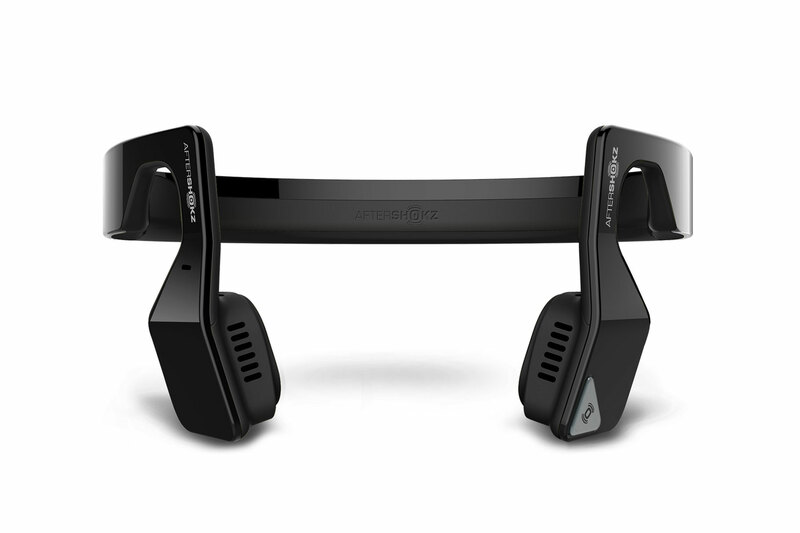 But AfterShokz’ PremiumPitch+™ technology ensures a range that suits music and voice. The Bluetooth capability allows you take advantage of a robust, lightweight, hands free medium to make phone calls, conduct speech-based audio listening and playing audio books. Another special feature of the Bluez 2 is the proprietary LeakSlayer™ technology that significantly reduce sound leakage, even when compared to traditional headphones and earbuds. The result: You experience every note of full, rich sound, even at high volumes. Additionally, the Bluez 2 headphones are sweatproof — you can power through heavy workouts, nasty weather or even marathon training while keeping your headphones bone dry. So if you’re ready to dive into the technologically advanced world of bone conduction technology, shop at Jet through DubLi.com to get the Bluez 2 Headphones ($86.20-$99.95) and earn up to 7.3% Cash Back.